Today I start a three part series leading up to the Champions League Finals on Saturday where I analyse one of the participants: Manchester United. I would first take a look at their my projected starting line up, evaluate the strengths and weaknesses of each potential starter and see how their playing styles and/or shortcomings would help or hurt United’s chances against Barcelona. Secondly, I would attempt to think like Sir Alex Ferguson and break down how he would most likely approach this final against the team who is regarded by most, and rightly so, as the best team in the world. In the final part, the potential substitutes who maybe called of the bench to change the game in any form would be analyzed. The first part would be broken into two sections, Part 1.1: Defense and Goalkeeper; and Part 1.2: Midfield and Attack. As the saying goes, “Offense wins you games but defense wins you titles”, Manchester United would look to their back 5 (4 defenders plus the goalkeeper) to give that much needed solidarity, concentration and composure to deliver the title when coming up against this attack minded Barcelona team. The Catalans have forced every team (with the exception of Shaktar Donestk who were demolished 5-1) who have come up against them to divert from their natural playing style to accommodate theirs. They play a short-passing fluid sytem where all their players possess superb technique. They also have two of the world’s best midfielders in Xavi and Iniesta who can both change the game with a telling pass and the best player in the world Leo Messi who can manufacture individual brilliance at any moment. These players in combination with their team-mates cause managers to adopt a counter attacking approach where they would sit back absorb pressure, restrict the chances on goal, or forcing them shoot from distance and look to catch them out on the counterattack. 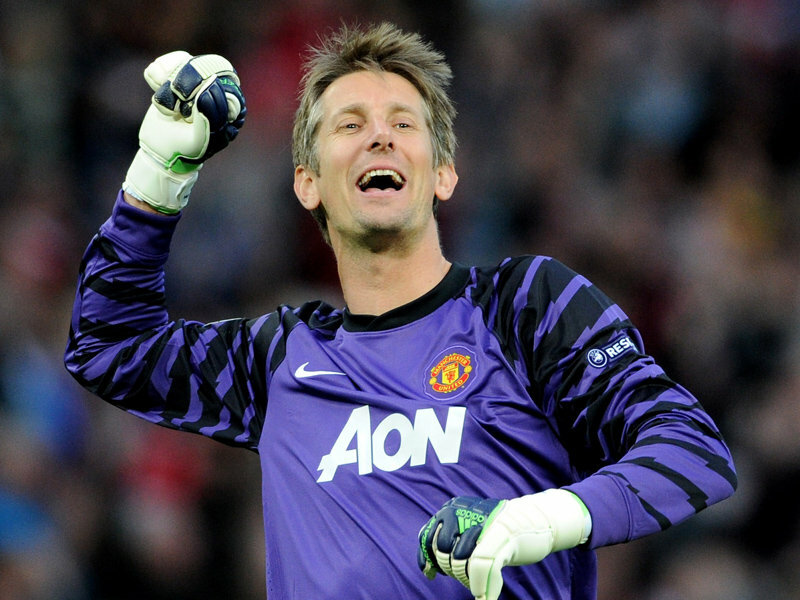 In his last game for Manchester United, Edwin Van der Sar would want to go out in similar fashion to former Reds legendary shot stopper Peter Schmeichel by winning the Champions League Final. The 40 year old has been in top form this season and few would doubt him giving a stellar performance against the attacking talents of Barcelona. He is an extremely safe goalkeeper and one of the best in the business. He commands his area exceptionally well and is a great communicator with his defense. Van Der Sar’s great ability of initiating counter attacks with his precise distribution of the ball would be key against Barcelona. United wingers would be required to get forward and in wide positions quickly everytime a Barcelona attack breaks down. Who ever leads the line would also be instructed to get themselves in beneficial position to capitilize from the Dutch stopper’s precise distribution as Wayne Rooney did against Aston Villa in February. On that occasion Van der Sar made a 70 yard pass from just outside of his area which exploited the space between Villa’s high line and their goalkeeper. Rooney was able to control the pass with one touch and finish with the other. Would he be able to exploit Barca high line like this? Probably not as Victor Valdes is an excellent sweeper-keeper but with Van der Sar’s ability its hard to doubt it. The three-time Champions League winner doesn’t really have any weaknesses in his game to note. There was the one incident against West Bromwich Albion when he dropped a cross on the foot of Somen Tchoyi who then scored an equalizer. There incident though was rare for a goalkeeper who has been very solid in his time at United. 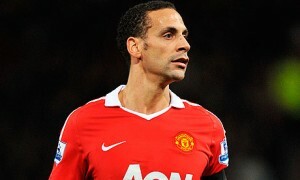 To Sir Alex’s benefit he has a fit Rio Ferdinand. The former West Ham United player’s injury worries over the past few season and even this one have been well documented. On the the night Rio’s style of defending would be a plus for United as he reads the game exceptionally well and his style is more about intercepting passes than tough tackling. On Saturday Barcelona would test these attribute as one of their strengths is scoring from throughball situations. Rio also has a remarkable fouls per game average of 0.2 in the Premier League and 0.5 in the Champions League which is testament to his style and against the Spanish Champions he would not want to conceed silly freekicks around the penalty area or worse a penalty. In a recent interview Ryan Giggs called Ferdinand ‘a Rolls Royce of a defender’ not only lamenting his smooth style of play behind the ball but his composure and reliability on it. His distribution of the ball is tops and he has a very good range of passing and would most likely be called upon to play some crucial passes as United may adopt a more direct passing strategy. Against Barcelona aggressive his composure on the ball would be tested but he should be able to cope with it. One noticeable weakness of Rio Ferdinand’s game which would be tested is his lack of pace with balls played in behind him. The pace of Barcelona’s front three maybe a bit worrying so he would be cautious of how high the Manchester United’s backline is. 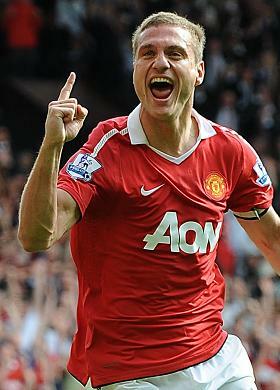 Partnering the former England captain in the centre of defense is Nemanja Vidic. The pair is regarded by many as the best defensive pairing in Europe. Vidic’s style is a bit difference to Ferdinand and this maybe what makes them such an effective partnership. The Serbian is a tough tackling defender who relies on his physical attributes to get his way with opposing players. He reads the game well and is great in the air. Coming up against Barcelona his aerial abilities would not be called into action much on the defensive end but he is a threat in the air on attacking set pieces. With Barcelona expected to have the lion’s share of the possession, United may look to set pieces as a critical area where they can get a goal and Vidic would surely be called upon to deliver on that end. Where Vidic falls short is his abililty on the ball. He lacks passing range and like his defensive partner is suspectible to balls played in behind him. He also committs silly fouls when dragged out of position and struggles against players with pace. This season Rafael has established himself as United’s number 1 right-back. His improvement as a defender and his speed are what would give Sir Alex the confidence to start in this final. Up against David Villa or Pedro Rodriguez his speed and awareness would be tested as they a both are quick and clever with their movement. He reads the game well and many of his interception either result in him going on an a bustling run forward once there is space for him to attack or he’ll look for a supporting midfielder to execute a quick 1-2. His positivity would be a plus in helping United transition from defence to attack. The young Brazilian is naturally an attacking full-back and is very crafty with the ball at his feet and in the attacking phase can create goal scoring opportunities for himself and others with his wonderful link up play in and around the penalty area and his deadly crosses into the box. 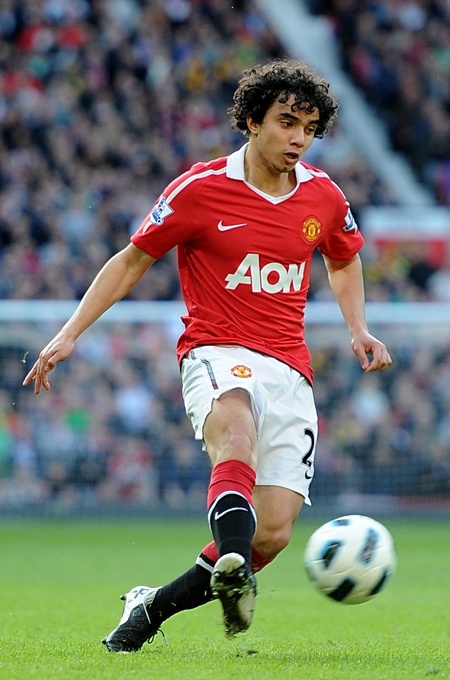 Rafael’s energetic and over-enthusiastic style of play can also be a liability. He often dives into tackles (leading the team with 3.6 tackles in the Premeir League and 3.5 in the Champions League) and this causes him to be out of position when he does not win the ball. He also has a tendency of committing silly fouls, often while diving in or when simply closing down opponents. He would also have to be very selective in making his forward runs as he would not want to be caught out of position because Barcelona counters with speed and precise passing and their moves usually end with a clinical finish. On the left side of the back four would be the ever present Patrice Evra. 2010/2011 have not been the best of season for the French international. His form has not been anywhere near where it has been in past seasons but he is still one of the world’s best left-back. Evra’s strengths lie in his ability to get forward but he is equally adept doing his defensive duties. Going forward he links up well with the wingers playing in front of him, he’s very comfortable in possession and is great when running with the ball. His ability to get forward with pace would be important (similar to Rafael) in the transition phase for United especially with Dani Alves expected to be the opposing full-back. Alves gets forward a lot and the space left back by him maybe Evra’s to attack with the left wide midfielder tracking the Brazilian. He too would have the task of dealing with either Villa or Pedro and he is also equipped with the speed to deal with them though he reads the game well he switches off at times. 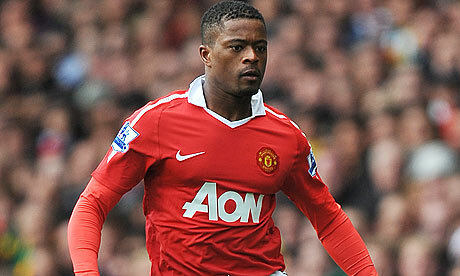 Coming up against this phenomenal Barcelona attack Evra’s momentary lapses of concentration may prove costly. This unit would be duly tested when coming up against the Catalans giants. Their technical superiority and fluidity forces almost all opponents to adopt a defensive strategy as they are bound to dominate possession and territory. The goal for United would be to limit penetration in the final third. The central defensive pairing would have to lead from the back ensuring that that those in front and to the side of them do their defensive duties and ensure they don’t defend to high up the pitch. The full-backs would have to be switched on at all times and pick the right opportunities to get forward to relief the team from the inevitable pressure they would be under. Distribution out of the back may just be the key to success for United. They would want to make sure they execute proper short passes to their more creative counterparts in midfield and accurate long passes to their attackers when the opportunity presents its self for a direct attack on goal. In my opinion he struggles with balls against players with pace especially when he is high up the pitch. For example, Craig Bellamy’s equalizer in the Manchester derby @ Old Trafford. He left Rio in his wake in a foot race that started at the halfway line.